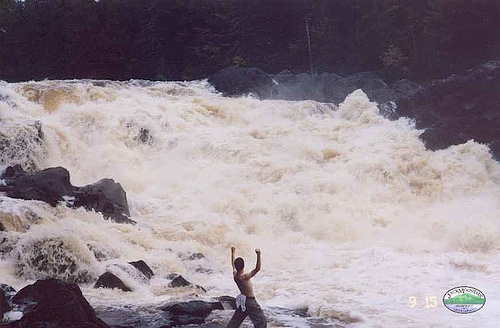 Allagash falls after several days of heavy rains. A shirtless figure stands alone, shaking his fists. Shot during the fall, 2004 fall semester course on day 9 of an 11-day trip with a disposable film camera. Great shot, great trip, great guy.